✔ High hold mode: With high density air pressure sensor which can precisely hold the height. 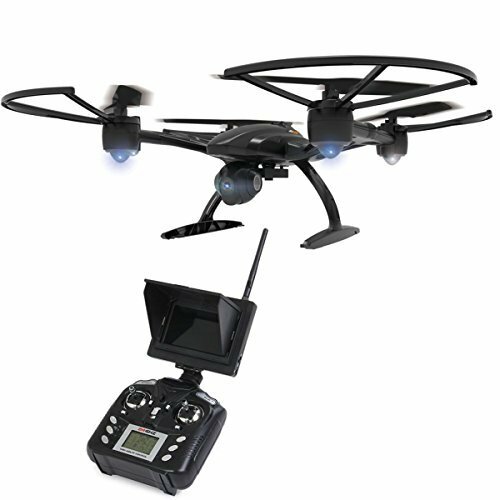 ✔ 2.0MP FPV Real-time Aerial HD camera: Capture and record every beautiful and unforgettable moment. ✔ 5.8G Real-time photos transmission: Share the videos and photos to the LCD display at anytime anywhere. ✔ 6 axis gyro: Strong stability, stronger wind resistance, easier to control. LCD display: It shows more details for your convenience to control this quadcopter. ✔ Genuine Product Guarantee- Buy with absolute confidence thanks to our 100% original quadcopter from professional manufacturer.